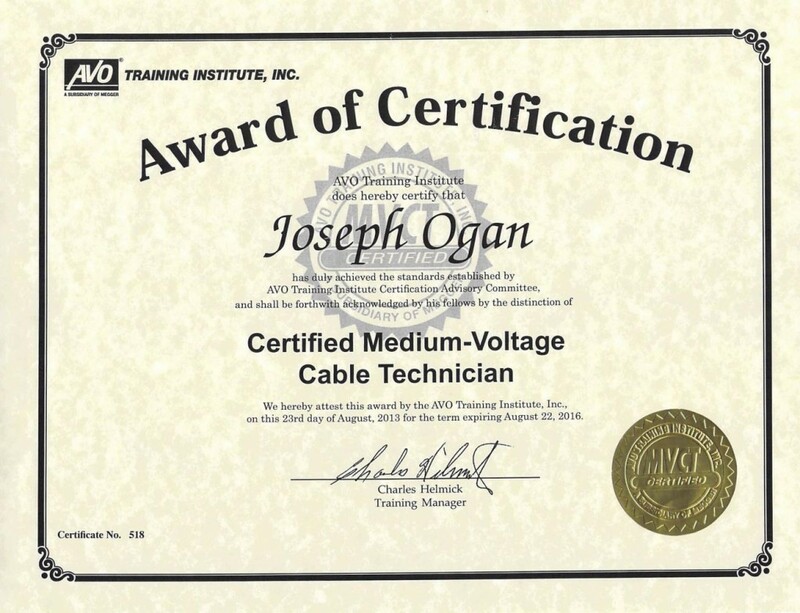 BME Employees Joseph Ogan and Jonathan Durling received their certification as Medium-Voltage Cable Technicians. 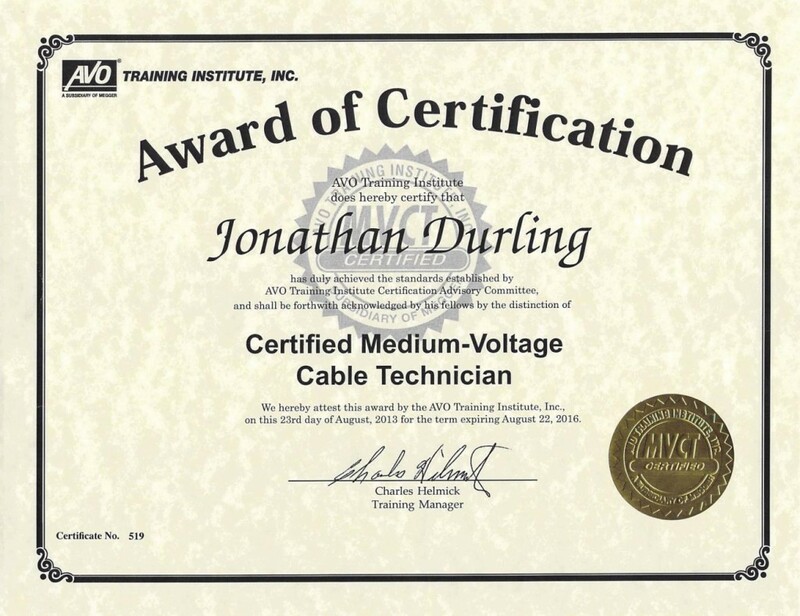 This certification is part of the ongoing training culture at Blue Mountain Electric emphasizing the latest techniques and safe practices. We have employees trained in OSHA 30, OSHA 10, HAZWOPER, QCM, CPR, First Aid, AED, forklifts, powder-actuated tools, man-lifts, and Lightning Protection Systems.